DIN Standards are invented for a variety of components including industrial fasteners as DIN 605 Flat Countersunk Square Neck Bolts. 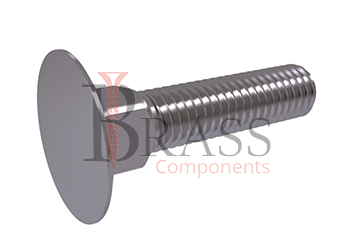 DIN 605 Bolts are manufactured from Carbon Steel, Stainless Steel Grade A2 or A3, Brass, Alloy Steel, Ordinary alloy steel or many other materials. DIN 605 Bolts are available in a wide range of sizes, shapes and materials. DIN 605 Bolts with Countersunk head, High tetrahedral head and incomplete metric thread. Performs well in fixation from the twist at the time of installation while screwing the nut. Prevent fastening and unfastening of hardware during operation. Available in Zinc Coating for providing Protection against corrosion. Available in varieties of material, size, finishes and grades. Designed for fastening combination wood to wood or wood to metal parts. 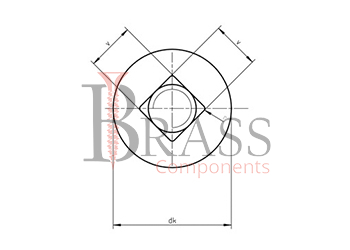 Used for joining and fastening structural elements and components in machine building, mechanical components, instrument making, construction and other industrial purpose. For various type of fastening purpose. We manufacture DIN 605 Bolts as per Custom Specification and export in Germany, Sweden, Denmark, Norway, Russia, France and other European Countries.For more Information, Please Contact Us or Inquiry Now.